There were many great milestones in 1978 – from the world’s first IVF baby to the first cellular mobile phone. Joining the 40th birthday celebrations this year is our very own 2NURFM – Newcastle’s first FM and now leading ‘easy listening’ community radio station, which began broadcasting in March 1978. The University of Newcastle has held the station’s broadcasting licence for the past 40 years, where a devoted team of experienced community broadcasters, staff and volunteers present rich and diverse content from around the region, the nation and the world. Funded by listener donations and sponsorship from businesses across Newcastle and the greater Hunter area, the station also provides learning and work experience opportunities for students. "2NURFM is a highly respected community radio station, run for and by the community. We’re proud of our history as part of the University of Newcastle and excited to continue to bring you our rich and diverse content for many years to come.” - Deborah Wright, CEO, 2NURFM. 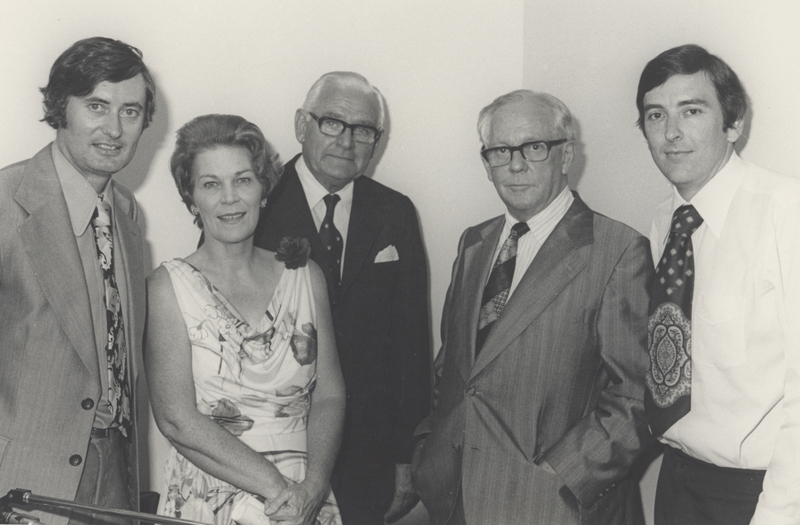 The opening of 2NURFM in 1978: John Hill, Station Manager, Councillor Joy Cummings (Honorary Degree – Master of Arts 1985), Lord Mayor of Newcastle, Sir Bede Callaghan, University Chancellor, Professor Alec Forsyth (Honorary Degree – Doctor of University 1983), 2NURFM Board, Martin Hadlow, Assistant Station Manager. Image courtesy of UON Cultural Collections.